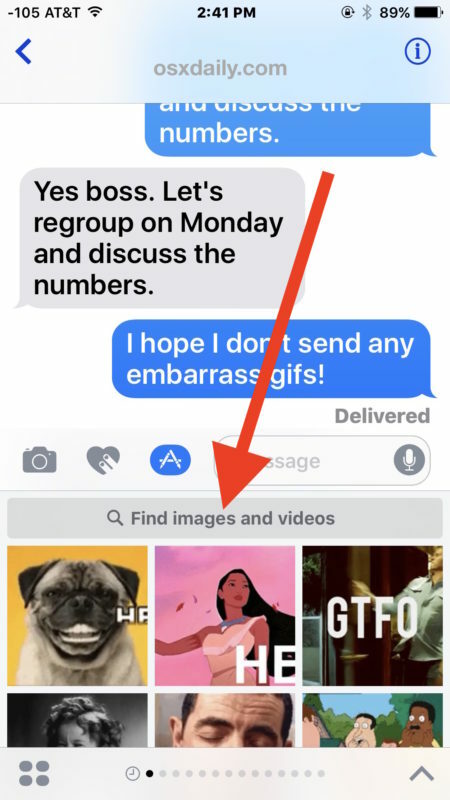 The iOS Messages app for iPhone and iPad includes an animated GIF search feature which allows you to search for and send GIFs to any recipient, whether they have an iPhone with iMessage or not. Embedded GIF search is just one of the many new fun and quirky Message features included in the latest versions of iOS, alongside stickers, apps, handwriting, and effects. 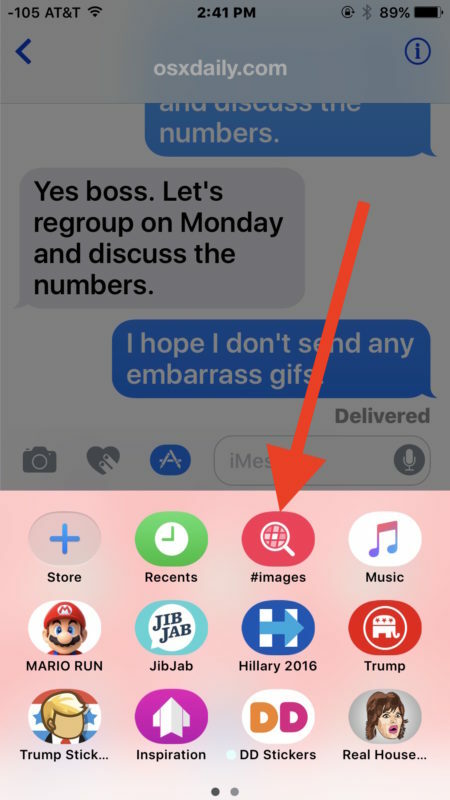 With the image and GIF search feature, you can find animated GIFs and send them directly in Messages app, without having to leave the app and without having to locate a GIF elsewhere to send using the copy and paste method (which still works, of course). It’s all built into Messages, let’s walk through how it works. Note that your iPhone or iPad must have a modern version of iOS to have the GIF search feature, iOS 10.0 or later includes this capability while earlier versions do not. 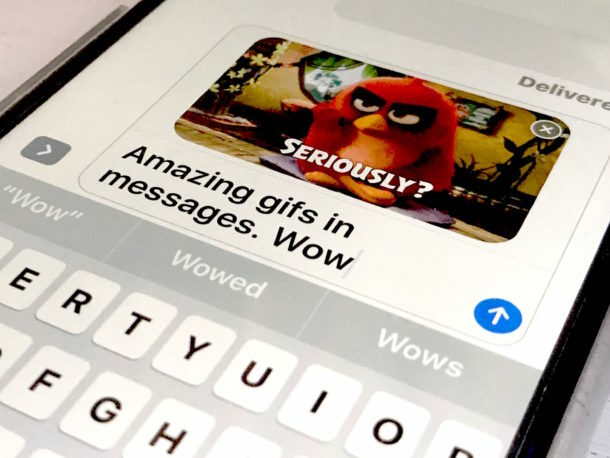 Now you have sent animated gifs easily, without ever leaving Messages app. 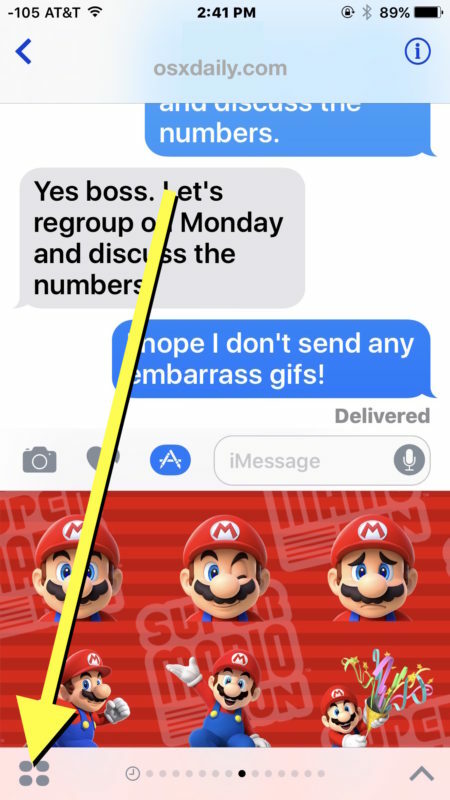 The GIFS are embedded into the chat window like any other message or picture, but unlike stickers they aren’t glued onto a message to obstruct it. 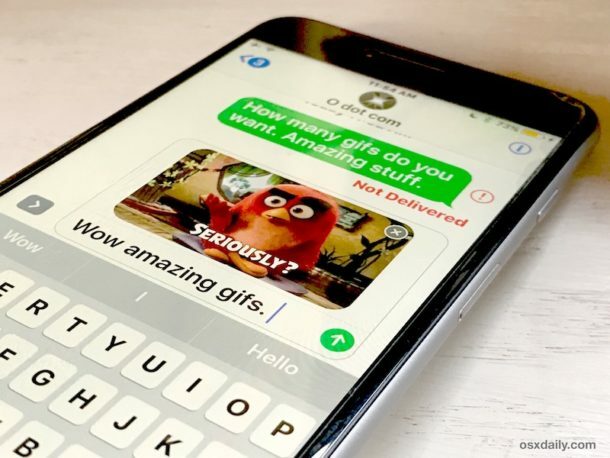 Sending and receiving animated GIFs in your messages can be really fun or completely obnoxious, try it out yourself and see how it works. 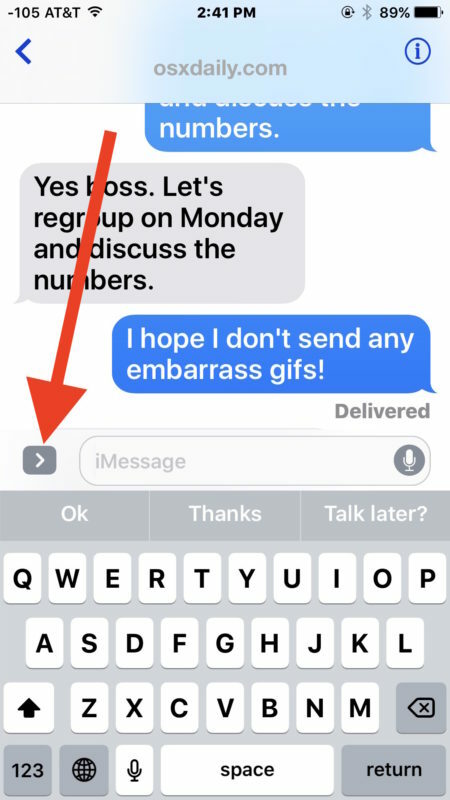 Like the other new Messages app features, there’s no way to opt-out or disable the gif search ability, so embrace it instead. The native Messages gif search feature requires a newer version of iOS, meaning version 10.0 or later. 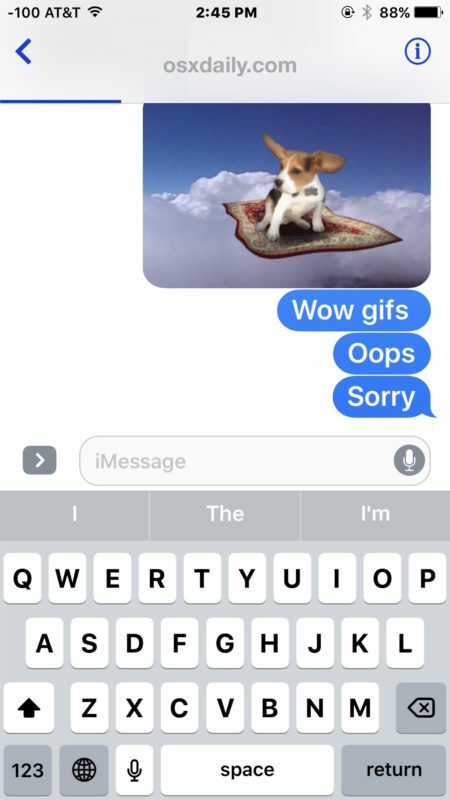 If you’re not on a new iPhone or iPad and you don’t have the latest versions of iOS on your device, you can still receive GIFs from people who are sending them this way, and you can still send animated gifs yourself by using copy and paste as described here. 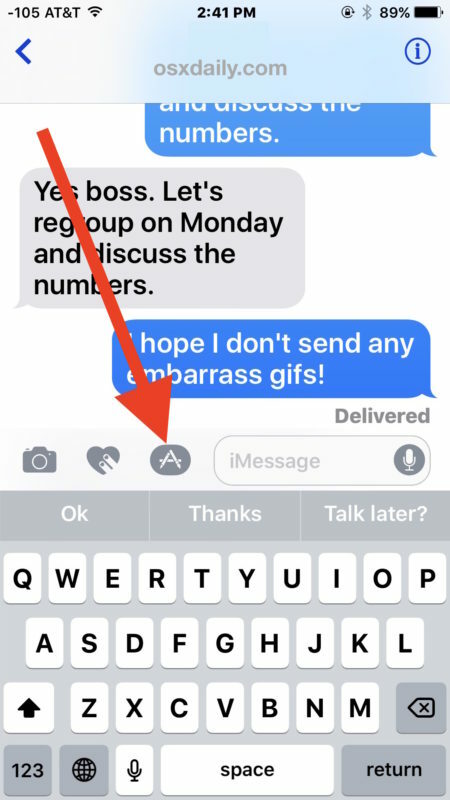 Do you enjoy the new native GIF search feature in Messages for iOS? GIF’s are the best feature in Messages for iOS by far. I love the gif feature, it’s better than anything I have seen in the new versions, instant GIF search and instant GIF transmission. 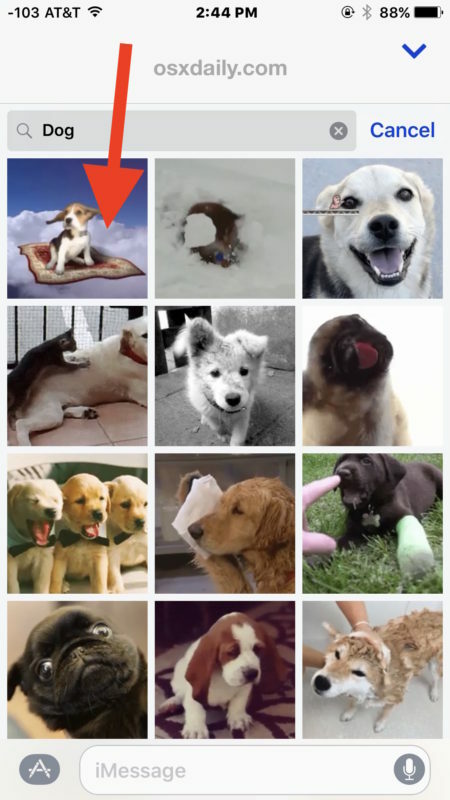 This gifs search send ability is the kind of innovation we expect to see from apple. I can’t wait to do it. You didn’t mention that it is not working in all countries, like in Israel for example. Anyone knows why? It’s not working in Denmark either. Not for me at least. Annoying! Search. GIFs. Emojis & more. It’s been out for some time now. Works on IOS9 as well. How do you add you own to their database? 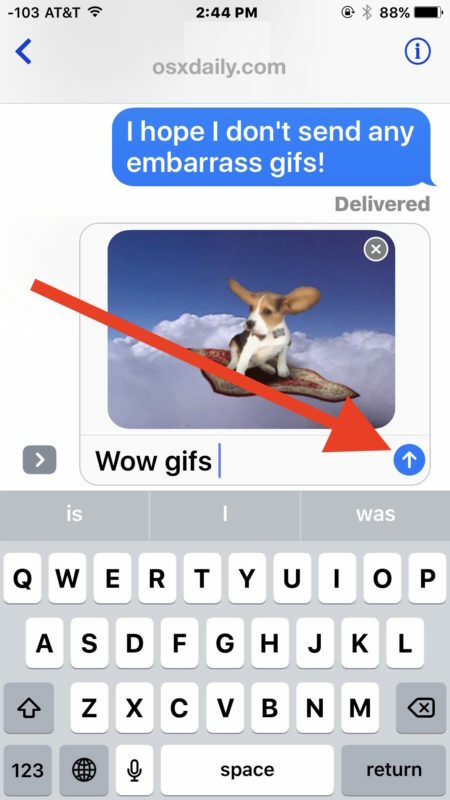 The gif search feature uses Giphy I believe, so if you want to add a gif to iMessage to be included it must be added to the “Giphy” service. Apple then appears to filter out certain subjects and topics to keep it G rated (though some odd ones still slip through).